Would it surprise you to know that I had never tried chicken tacos before this year? I had always made our tacos with beef (or Mexican ground round). These Salsa Verde Chicken Tacos were a first for me. Our whole family loves tacos, so I was expecting to get some dissent on the change. They surprised me. I surprised me! We all loved the chicken version just as much. In fact, when one of my daughters recently requested tacos as her birthday supper, she wanted both types of meat. Most of us just chose one or the other, but some of my kids are strange eaters and they used both chicken and beef in their tacos. Weird, I know! 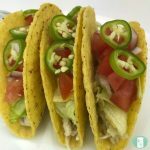 Make this freezer to slow cooker or Instant Pot recipe for Taco Tuesday or Taco Wednesday or Taco Thursday or… I think you get the idea! 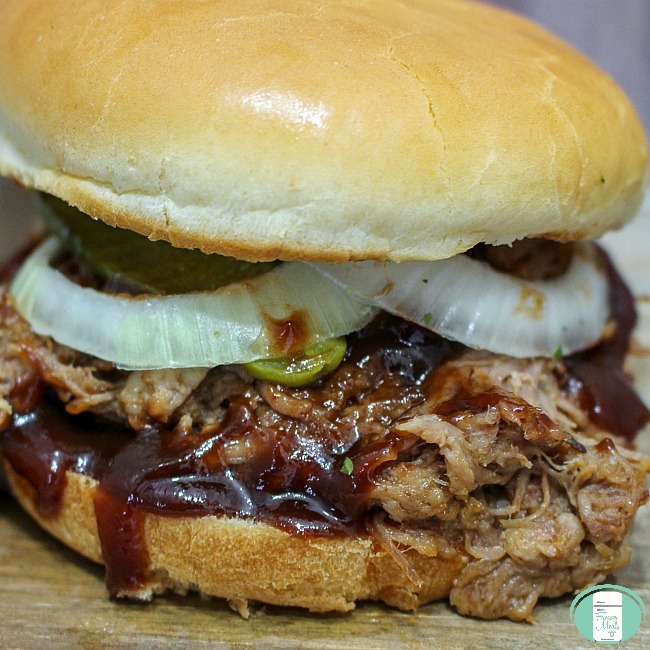 Take the bag out of the freezer and thaw. 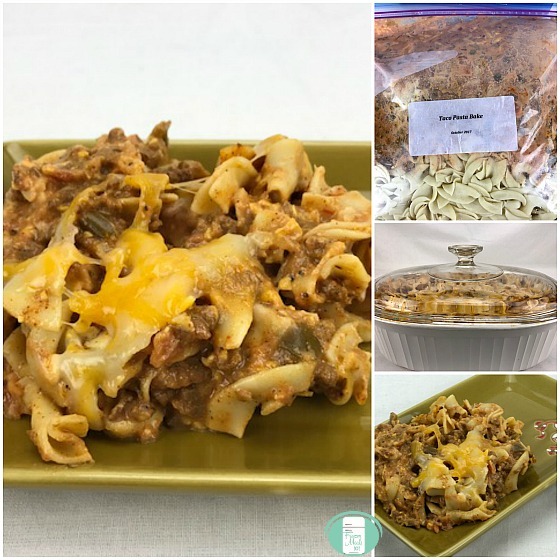 Add bag contents to the Instant Pot. Lock the cover and seal the steam nozzle. Cook on high pressure for 12 minutes (or 20 minutes if cooking from frozen). Release the steam. Once vented, shred the chicken using tongs or two forks. Thaw. Place the bag contents into the crock pot on cook on low for 4-6 hours. Shred before serving. 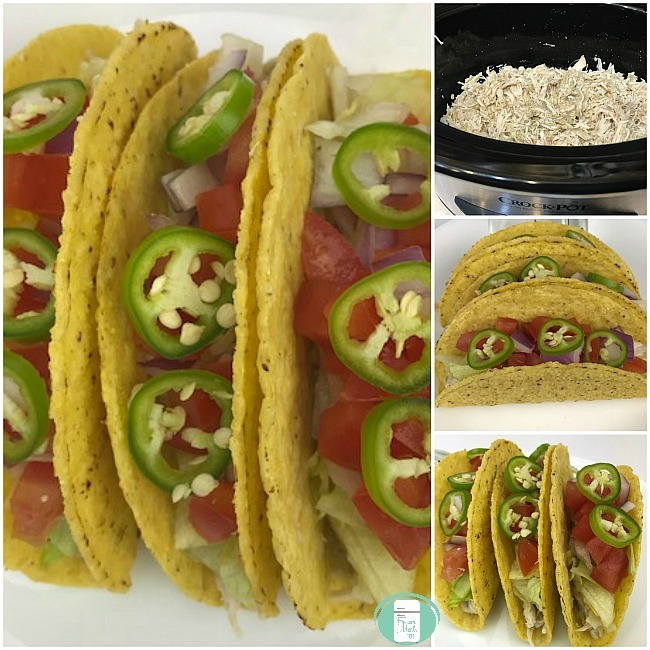 Serve the shredded chicken on corn or flour tortillas with cheese and all of your favourite taco fixings. Possible toppings are black beans, salsa, hot sauce, shredded lettuce, diced tomatoes, green onions, sliced black olives, avocados, sliced jalapenos, and fresh cilantro. You can also offer sour cream, salsa, and guacamole on the side. If chicken tacos aren’t your thing or if you have leftovers, you can also use the shredded meat as a topping on nachos or in wraps. 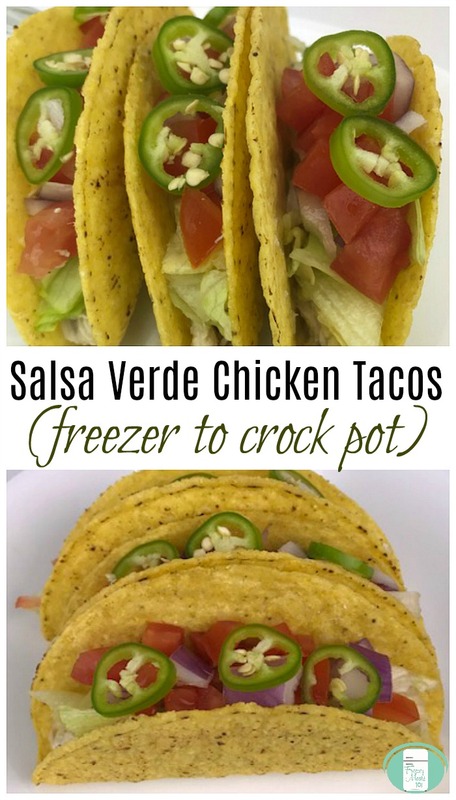 This salsa verde chicken recipe is included in our Instant Pot Freezer Meal plan along with other easy recipes, prep and shopping lists, and printable labels. Dump the chicken, diced onions, cumin, and salsa verde in a large resealable bag. Remove the excess air, seal, and freeze. Serving suggestions: Serve the shredded chicken on corn or flour tortillas with cheese and all of your favourite taco fixings. Possible toppings are black beans, salsa, hot sauce, shredded lettuce, diced tomatoes, green onions, sliced black olives, avocados, sliced jalapenos, and fresh cilantro.